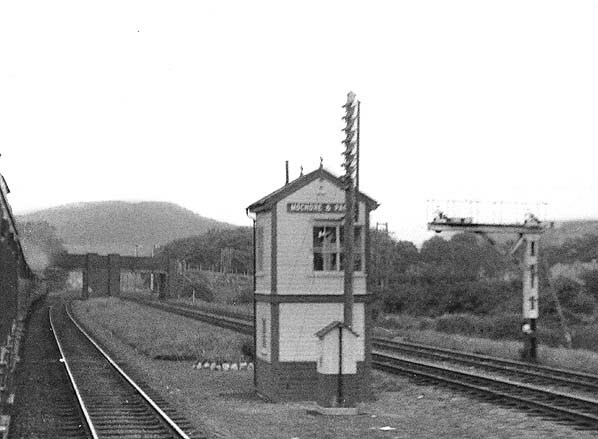 Notes: Mochdre & Pabo station was opened by the LNWR on their Chester to Holyhead main line on the 1st April 1889.
wooden constructions and only basic waiting facilities were provided. The station was in a fairly isolated location and probably never generated much traffic. It was closed as an economy measure during WW1 on 1st January 1917, reopening on 5th May 1919, but an early closure was inevitable and the station permanently closed to passengers on the 5th January 1931. The station never had a goods service. 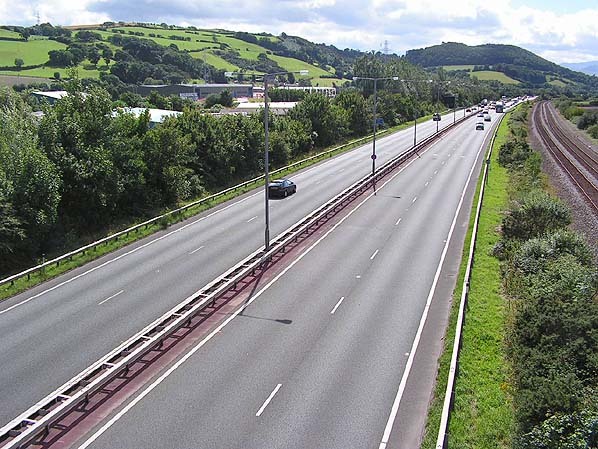 During 1982 and 1983 the railway alignment was altered to allow construction of the A55 trunk road. Effectively the railway was shifted to the northwest and the truck road was built on the site of the original trackbed. The site of Mochdre & Pabo station now lies buried under the road. 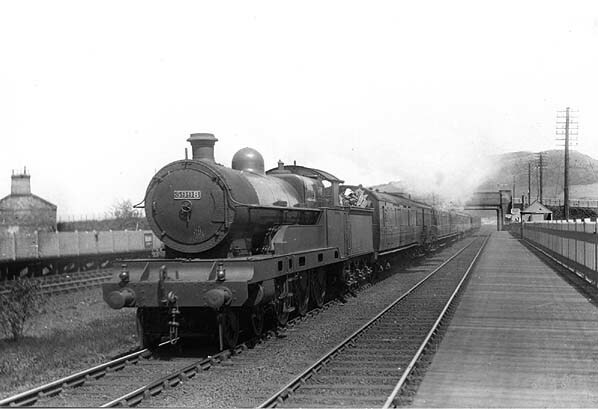 An westbound express rushes through Mochdre and Pabo Station in c. 1925. The train is on the westbound fast line. Looking at west at the site of Mochdre Pabo Station in August 2008. The Station now lies buried beneath the A55 Trunk Road. To the right of the picture the Chester to Holyhead line on its 1980s alignment can be seen. The line was moved towards the north to accommodate the road.